The VESA (Video Electronics Standards Association) has announced its new Display Port 1.4 standard, the Display Port(DP) 1.4 is for both audio/video standard, that is suited for implementation of high-end electronic devices that demand premier sound and image quality. 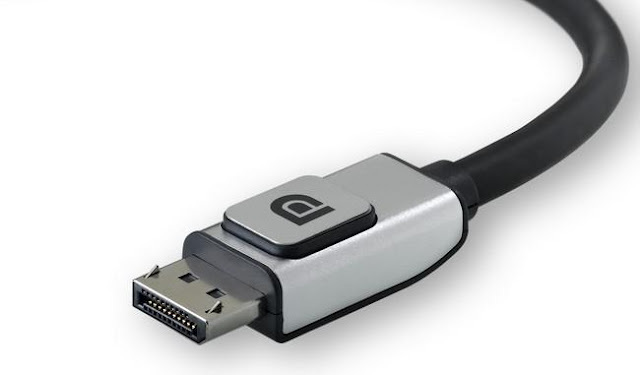 It uses video transport compression which enhances the ability of taking advantage of the USB Type-C connector, that enable both high-definition video and super speed USB, also providing High Dynamic Range and 8K video across the DisplayPort/USB-C connector. The last update about display port is in sept, 2014 which is 1.3 version and now display port 1.4 in march 2016. 1) Forward Error Correction (FEC), which overlays the DSC 1.2 transport, shows the transport error resiliency needed for compressed video transport to external displays. 2) HDR meta transport uses secondary data packet transport in the Display Port to provide support for the current CTA 861.3 standard, which is useful for DP to HDMI 2.0 protocol conversion. It also offers a flexible metadata packet transport to support future dynamic HDR standards. 3) Expanded audio transport extension covers all the capabilities such as 32 audio channels, 1536kHz sample rate, and included all audio formats. The new update in DP standard is vital for the growth of adoption for both DP and DSC, which is very much needed in this fast growing electronics standard. VESA guarantees that DSC is visually lossless, which achieve a 3:1 compression ratio. DP 1.4 is also compatible with Intel Thunderbolt and USB Type-C interfaces, that means the upcoming monitor models could connect to the system with a single small cable. so overall we are going to witness a new improved standard in audio and video soon.